Established in 1977, Albwardy Engineering Enterprises is managed by a team of professionals in different disciplines and has the distinction of completing prestigious projects including residential & commercial buildings, luxury villas, industrial buildings and the like in U.A.E. Being an emerging Web Design Company, we at Webmekanics are eager to expand our reach beyond our national borders and work with clients who have reputable recognition in their respective localities. 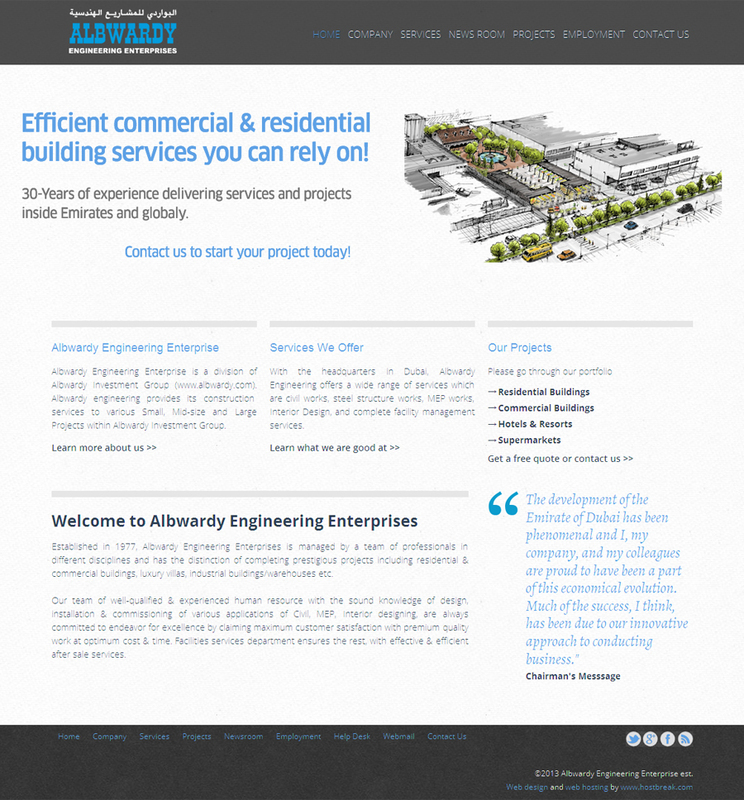 The recently completed Web Design project for Albwardy is just an example of our outreach to the emirates which earned us good name in the local corporate community. 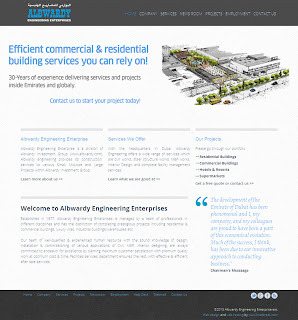 Albwardy’s latest websites introduces visitors to the company, lists the services they offer and uniquely displays a collection of their completed and on-going projects. The Creative Team @webmekanics feels happy to work for Albwardy and wishes best of luck in their business endeavors.